The History of Fema: How Did It Begin? FEMA which stands for Federal Emergency Management Agency is an independent agency created to respond to, plan for, recover from, and mitigate against disaster—natural or man-made. In any in part of the country of the United States. The agency is tasked with the mandate to report to the president. Also to suggests ways to arrest or resolve emergency issues. When was the FEMA created? The origin of FEMA as an agency can be traced to the congressional Act of 1803. It was the first Act that considers legislation on disaster because it gave assistance to a town in New Hampshire which suffered from extensive fire damage. However, the century that precedes 1803 saw an Ad Hoc legislation that passed over 100 times as a response to earthquakes, hurricanes, floods and such other natural disasters. During the 1930s, the federal government started to approach the problems of natural disasters, and such concern became popular. Consequently, the Reconstruction Finance Corporation was given the green light to make disaster loans. This consisted of the repair and reconstruction of certain public facilities, in the aftermath of an earthquake, and followed by other types of disasters. In 1934, authority was given to the Bureau of Public Roads to fund the reconstruction of highways and bridges damaged by natural disasters. Another Act known as the Flood Control Act was passed. It gave the US Army Corps of Engineers extensive authority to implement flood control projects. However, there were some lapses and problems plaguing the effective utilization of this piecemeal approach. It calls for the need for a legislation to enhance greater cooperation between government agencies. Massive disasters were recorded in the 1960s and early 1970s, which led to the formation of the Federal Disaster Assistance Administration. It is an agency established by the Department of Housing and Urban Development (HUD). 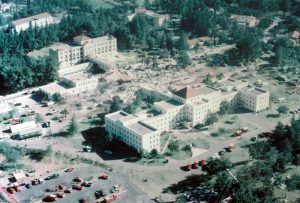 However, the impact of other natural disasters such as the hurricane Carla in 1962, the San Fernando earthquake in 1971 and hurricane Agnes in 1972, led to more agitation for a better agency. There were calls to decrease the numbers of agencies task with disaster management, President Jimmy Carter was asked to centralize federal emergency functions. These led to an executive order in 1979 creating the Federal Emergency Management Agency (FEMA). The first director of FEMA was John Macy. FEMA’s mission is to support first responders and citizen of the United States. To help build and improve the capability to prepare for, respond to, protect against, recover from and mitigate all forms of hazards. FEMA, still operating within the Department of Home Land Security, has been very active in coordinating the federal government response to natural and man-made disasters. Since its inception, the agency has been of great help to local and state government in tackling various hazards. 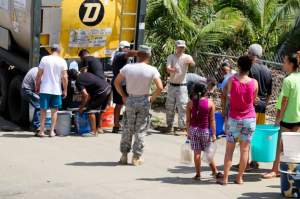 Although FEMA has undergone lots of changes to increase its effectiveness, the Government Accountability Office is still recording lapses in the agency’s overall performance. I am a victim of the 11-8-2018 Campfire in the town of Paradise in the Northern California foothills where 18000 homes were destroyed and countless businesses by wildfire!! FEMA was here immediately and although flooded by 54000 homeless schocked distraught people left with nothing FEMA was a reassuring presence!! I for one was at first denied and it took 2 months of personal visits and calls finally received help!! I got money directly deposited for help with housing and the offer if a FEMA trailer. Was the money enuf to account for the loss of all my personal belongings work tools pictures keepsakes 65 years worth that we’re in part what said “I was here” of course not!! But those “things” are not replaceable!! The money helped to pay for housing in the immediate aftermath “which I initially paid out of pocket” and enuf to at least pay deposit and rent for a little while. Other sources and community helped everyone also. I think FEMA did a great job with the no doubt overwhelming outcry for their help!! I think we forget that those affiliated with FEMA are human just like us and if they could would just hand everything out to make it all better!! What would we all do without the FEMA support team here to help?? I personally could not imagine!! From the inspectors on-site to the teams handling the thousands of requests I received sincere responses and felt like I mattered!! This comment makes me sad for you but then I am very happy that FEMA responded. You do matter! Thank you for your comment.